Getting married? You’ll need cake with that! Wedding cakes come in different shapes, heights and sizes depending on the design and how many guests you’d like to feed wether it be 30 or 130. Like to try before you buy? Tasting boxes are available from £36. A box consists of 12 cupcakes in 2 flavours of your choice from the menu, for you to take away and share with family and friends. Please contact me here with as much notice as possible, summer gets very busy and I only have one set of hands so wedding cake spaces are limited each week. When you are ready to drop me an email please remember to include: How many portions, the venue address, if you require delivery, pictures for reference, colour pallets, any specific requests? Heart of Cake offers a wedding delivery and set up service, it’s optional but recommended. Transporting cakes can be nerve wracking especially as the weather gets warmer and on bumpy roads, so take away one less worry and have your cake delivered in one piece! This comes at an additional cost. 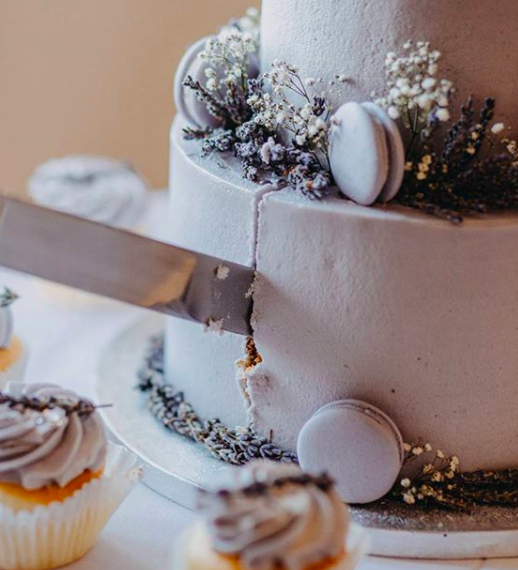 To reserve your date a deposit of 1/3 of the total cost of the cake + delivery (if required) is to be paid upfront and the remainder is due 2 weeks prior to the date of your wedding.